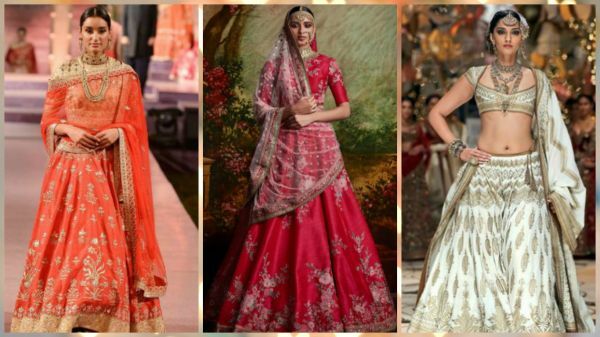 8 Amazing New Lehenga Colours For The Contemporary Bride! A bride eagerly awaits her wedding day, a moment that will change her life forever. But before D-Day, she has to decide on a lot of things. And one of THE most important decisions a bride has to make is selecting her wedding outfits! Now, the modern bride is always looking for something “different”, something that will make people gasp and admire her lehenga. Brides are going bolder and unconventional with their colours, and below are our favourite picks for this season! If you want to feel like a princess on your wedding day, golden is the way to go. Golden coloured lehengas look magnificent and give a royal touch to a bride’s appearance. 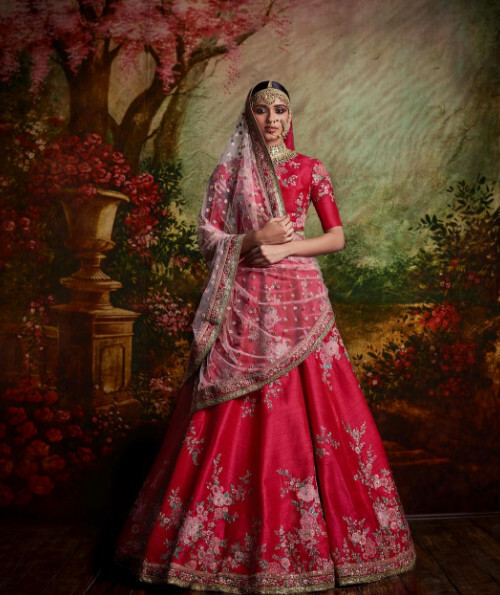 Take inspiration from Sabyasachi’s collection for your perfect golden lehenga! Image: Sabyasachi on Instagram Also read: 7 Stunning Lehenga Colour Combos You’ve GOT To Check Out! Every bride wants to stand out on her wedding day and green is just the colour to help her shine. There are ample shades of green available if you don’t want to wear the usual dark green. 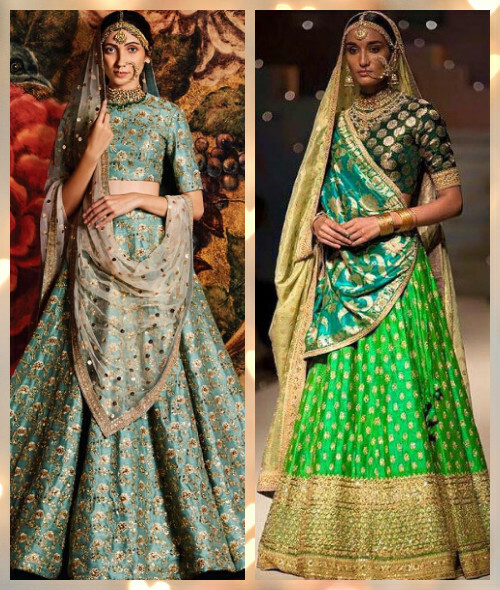 Take inspiration from Sabyasachi and go for a mint lehenga or a beautiful peacock green one. 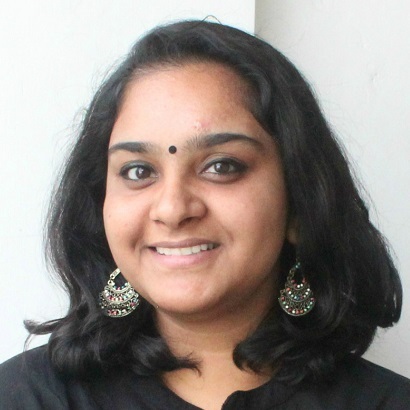 If you want to look hatke on your wedding day, you should definitely go for an ivory lehenga. The combination of ivory and gold is just perfect as the ivory provides a simple and elegant look and the golden work gives it that glitter and shine. 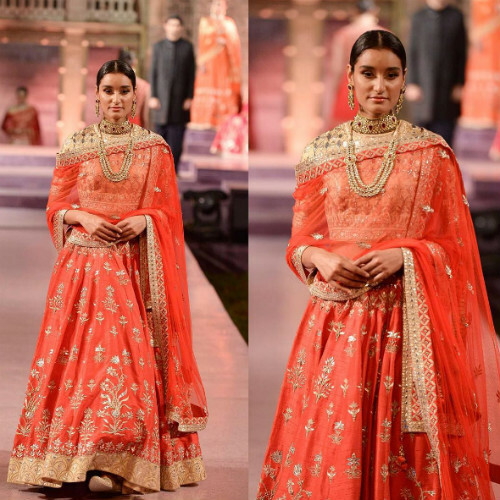 Image: Rohit Bal On Instagram Also read: 8 Indian Designers Who Are *Perfect* For The New-Age Bride! Ladies, no matter what, you can’t shy away from red. 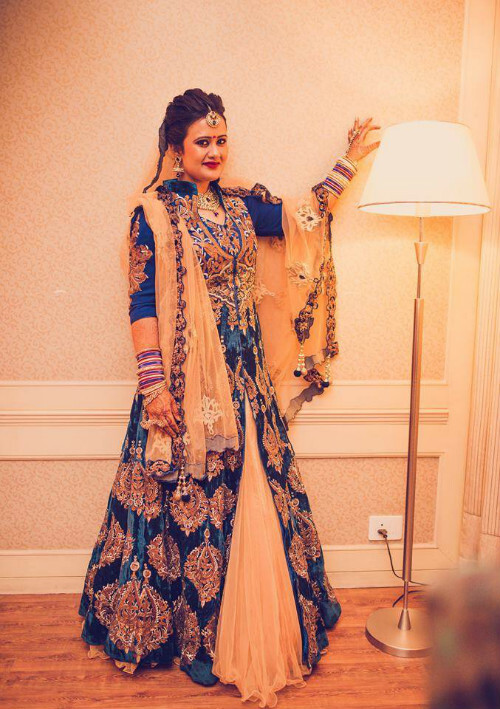 It is the most traditional and classic of all bridal lehengas. But be bold and say byebye to the tomato red lehenga and pick a wine or maroon instead. Traditional, yet fashion-forward - win-win!